This year (2015) marks the 100th Anniversary of Kazimir Malevich's "Black Square" and introduction to Suprematism. 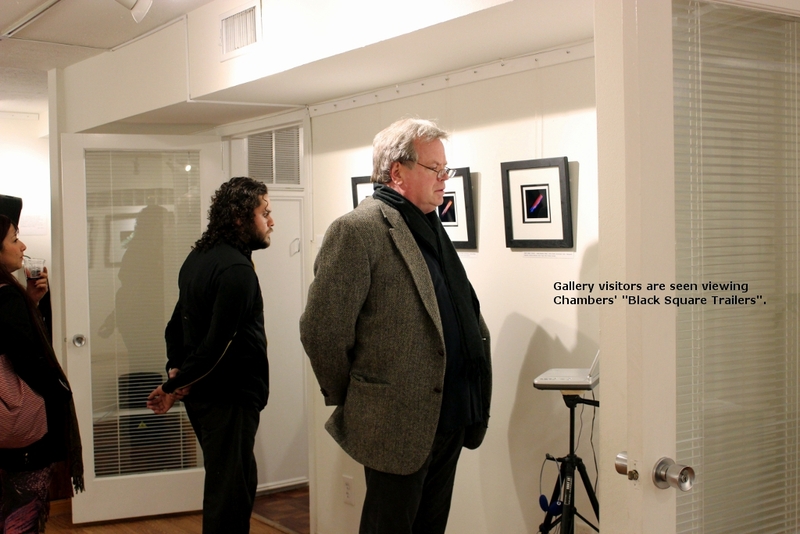 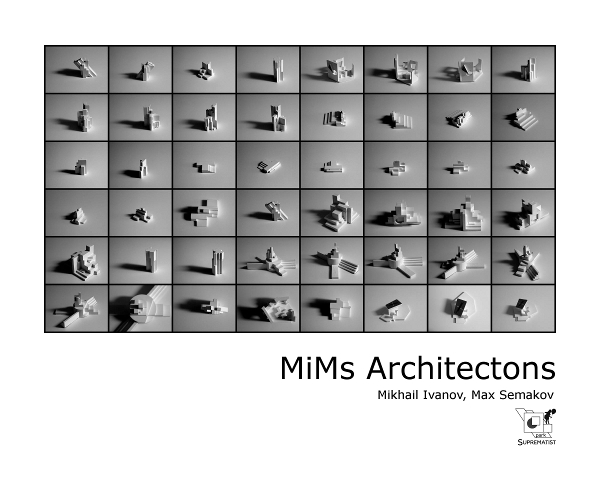 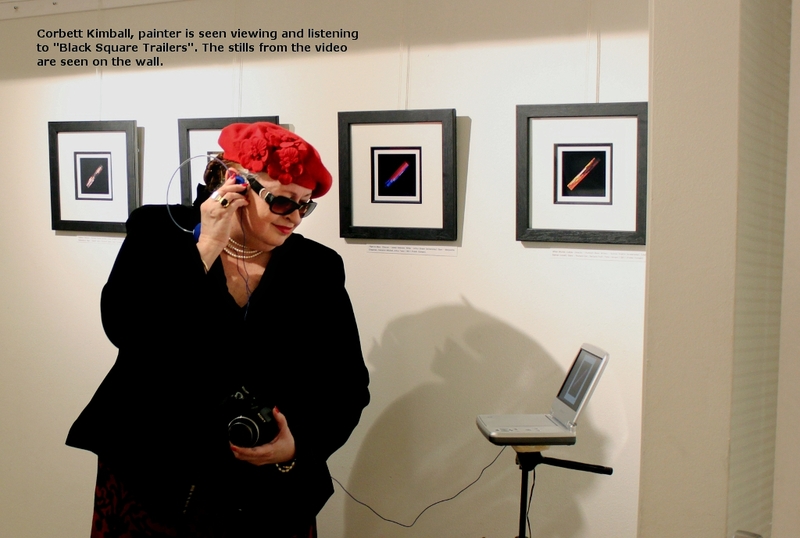 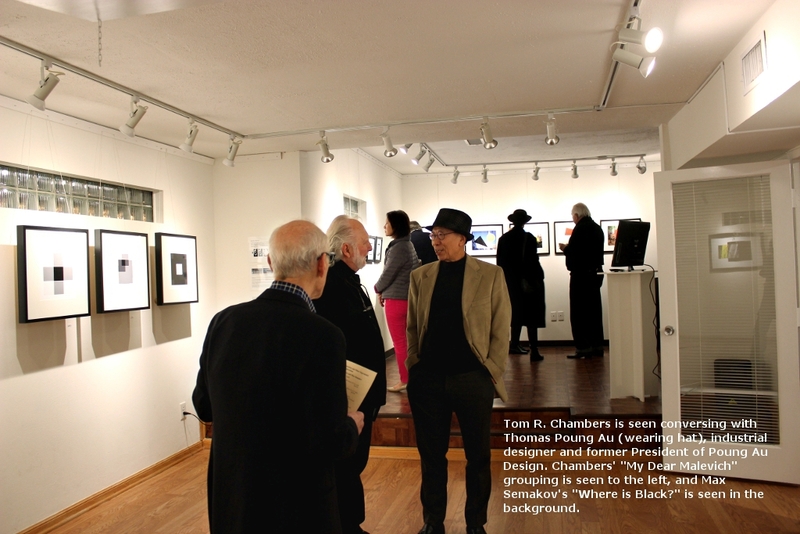 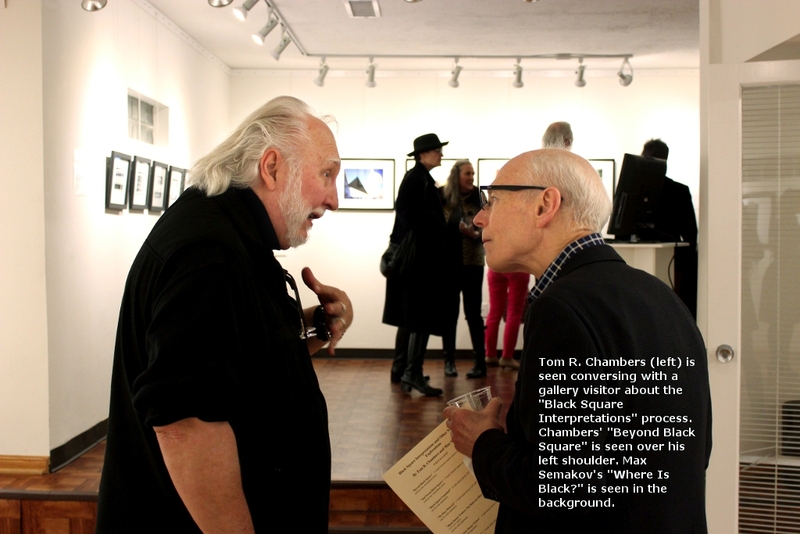 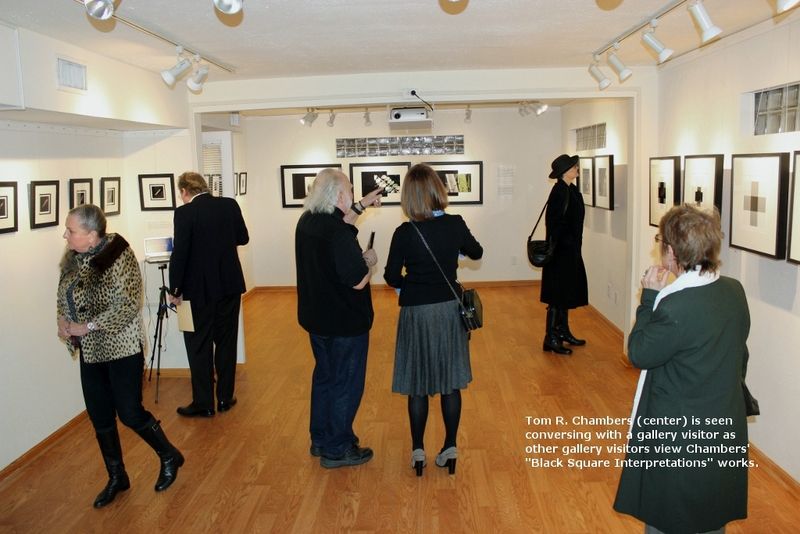 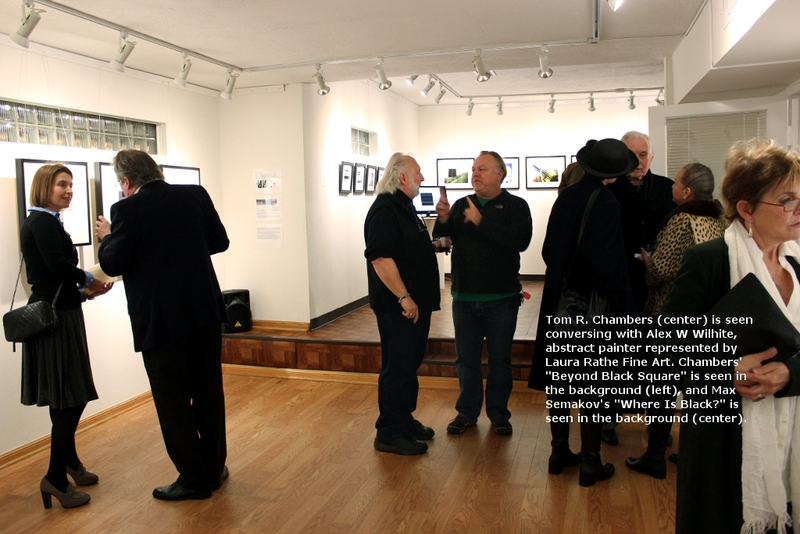 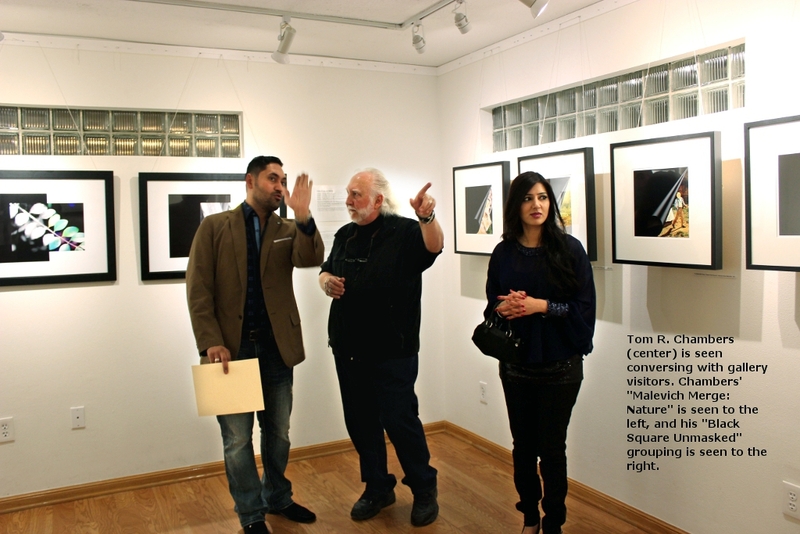 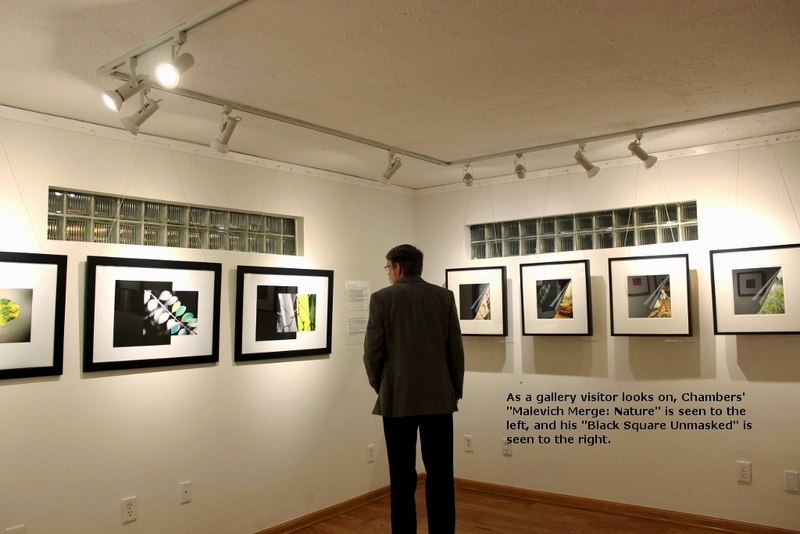 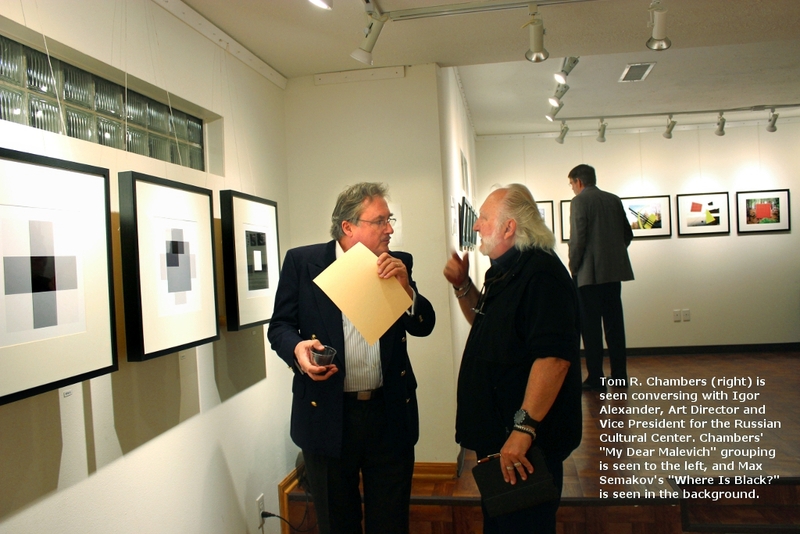 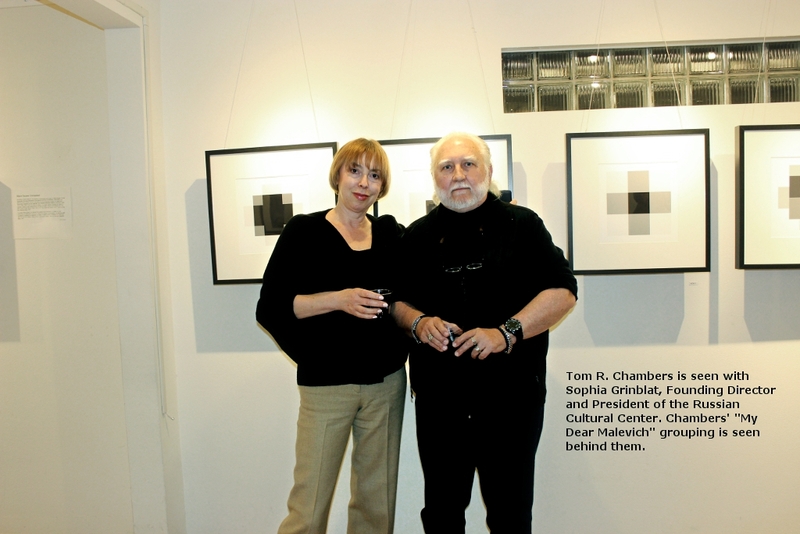 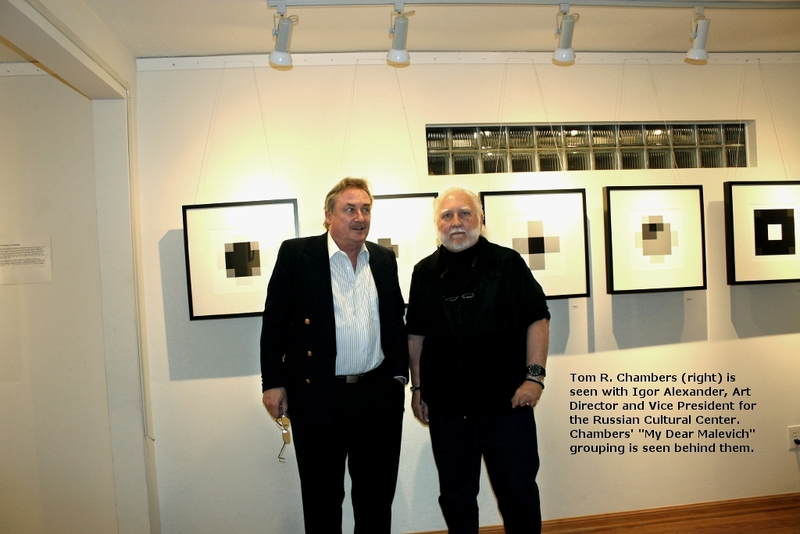 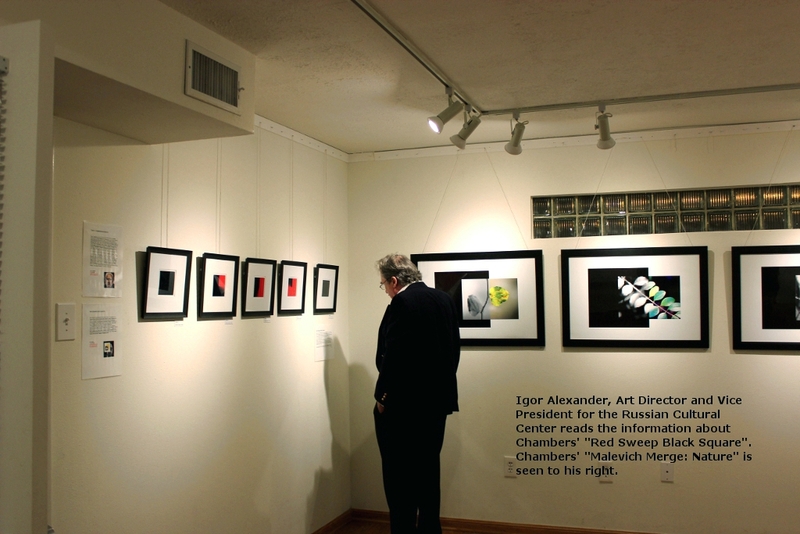 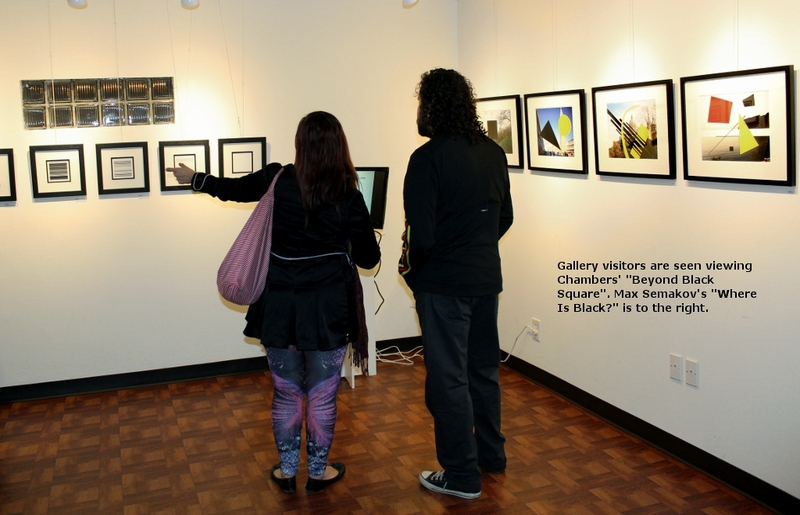 Tom R. Chambers (Houston, Texas) and Max Semakov (Moscow, Russia) come together at the Russian Cultural Center "Our Texas" in Houston to pay tribute with interpretations of "Black Square" and explorations of other Suprematist forms. 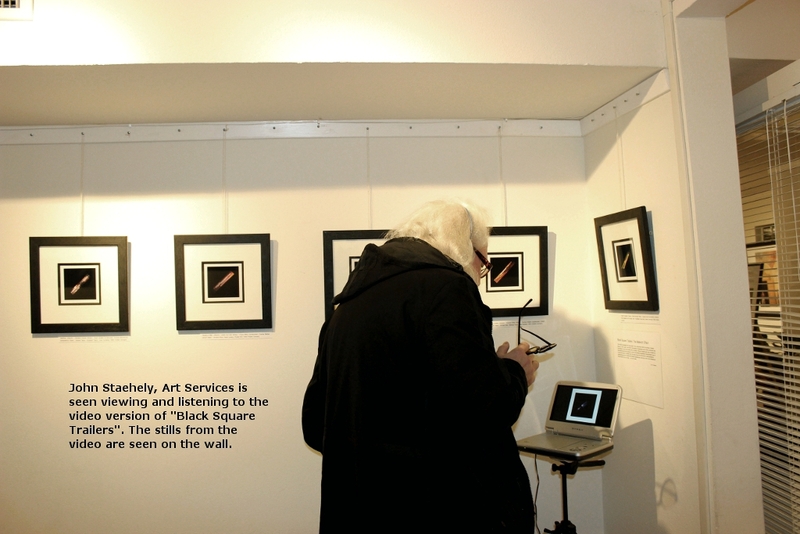 "Black Square" and other Suprematist works became the turning point in the development of Russian avant-garde when Malevich showed them in Petrograd (Saint Petersburg), Russia in 1915 at the "Last Futurist Exhibition of Paintings 0.10". 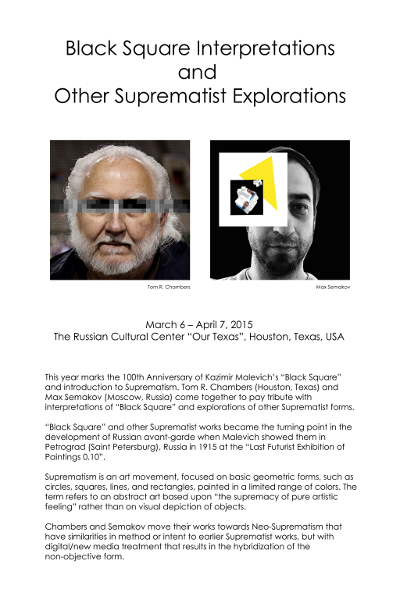 Suprematism is an art movement, focused on basic geometric forms, such as circles, squares, lines, and rectangles, painted in a limited range of colors. 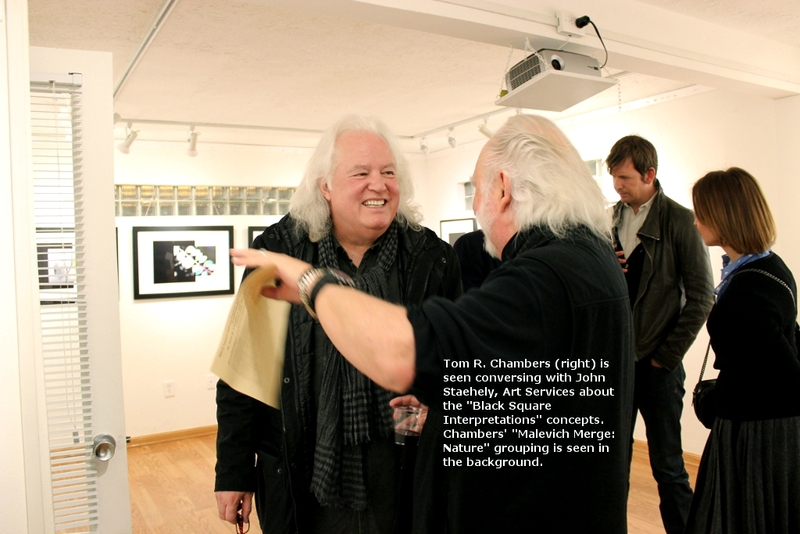 The term refers to an abstract art based upon “the supremacy of pure artistic feeling” rather than on visual depiction of objects. 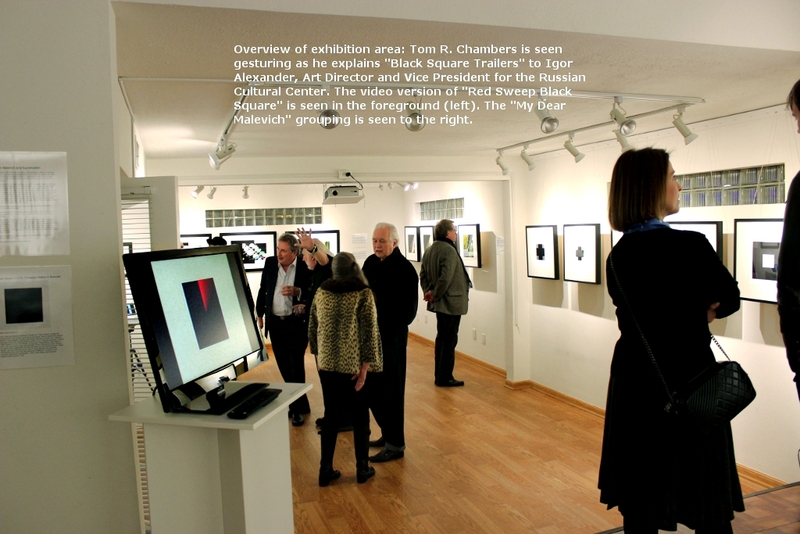 Chambers and Semakov move their works towards Neo-Suprematism that have similarities in method or intent to earlier Suprematist works, but with digital/new media treatment that results in the hybridization of the non-objective form.